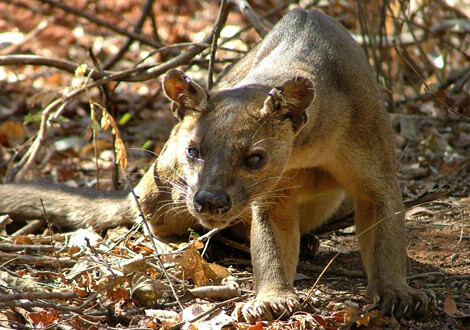 Fossa is a very rare predatory mammal, found only on the island of Madagascar off the shore of Africa. These carnivores are closely related to Mongeese and in appearance they resemble a cross between a Puma and a dog, and their size of up to 6 feet (1.8 meters) make them the largest predatory mammal in Madagascar. The Fossa inhabit forests and they’re equipped with sharp claws and a long tail to maneuver along the branches of trees, looking for prey. Typical for predators, their brown-ish fur blends with the surroundings. It’s the top predator on the island of Madagascar, hunting both day and night. These agile creatures are solitary animals, bent on hunting everything that moves – from a mouse to a lemur. Their diet consists of any animal they can hunt, be it a reptile, a bird or a small monkey. Their agility is praised by many scientists who were keen on observing this animal, as it moves so swiftly through the trees, that it’s hard to follow it or even take a picture. 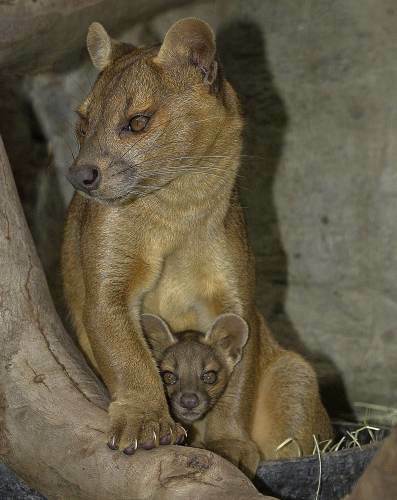 Little is know about the mating habits of the Fossa, but it is known that the females give birth to 2-4 pups and sexual maturity is reached after three years. In captivity, the Fossa have been known to live up to 20 years. Untypical for most forest animals, the Fossa have a specific nest, where their newborns spend at least their fourth months. After that, the pups are still very dependent on their mothers until they’re at least a year old. This is a very long nurture period for any animal, but it seems that it brings it’s fruits as the Fossa are one of the fiercest predators in the jungles of Madagascar. Apart from the Nile Crocodile, Fossa has no natural predators and it rightfully owns the crown of Madagascar’s jungles. 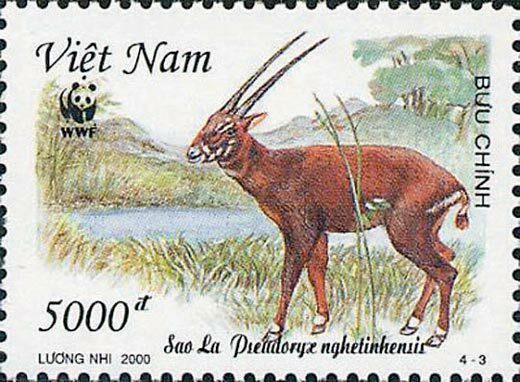 It is, however, endangered by poachers, who hunt this animal as a means of sport. Fortunately, it’s fur is somewhat not attractive to the collectors and no case of hunting Fossa for selling in trophies are known. In the latest counting, fewer than 2500 mature Fossa were counted and they’re classified as “Vulnerable” by IUCN. The main reason for this is the increasing destruction of Fossa’s natural habitat – the forest, which people deliberately destroy, exploiting the nature’s resources. Due to the critical condition of these species, it is forbidden to hunt, move or trade any Fossa and hopefully the law instances will make sure these rules are abide. 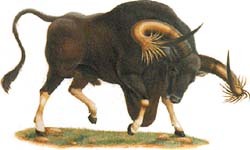 As for any animal that’s on the brink of extinction, it’s important to acknowledge the attributes that make them unique. And in the case of Fossa – it’s their amazing predatory skills and agility, that have given them the title of kings of the Madagascar jungle.